What's the Difference Between a One Event App & a Multi-Event App? One Event apps are a good option if you have a one time event that requires a branded app. These apps are typically not reused for other events (see here) and should be unpublished after the event concludes. If you need one app for one event and branding is not a concern, consider adding it to the Attendify App! 1.) Once your app is published, you can instantly add new events to your app without having to wait for approval from the app markets. 2.) You are able to set a unique event code for each event to restrict access, or choose to hide an event altogether if it's meant for a private group of attendees. 3.) There will be a separate Activity Stream and a list of attendees for each event within the container app. Attendees can access past events to download documents & review old materials, as well as view upcoming events - all in one app! 4.) No need to promote a new app each year! 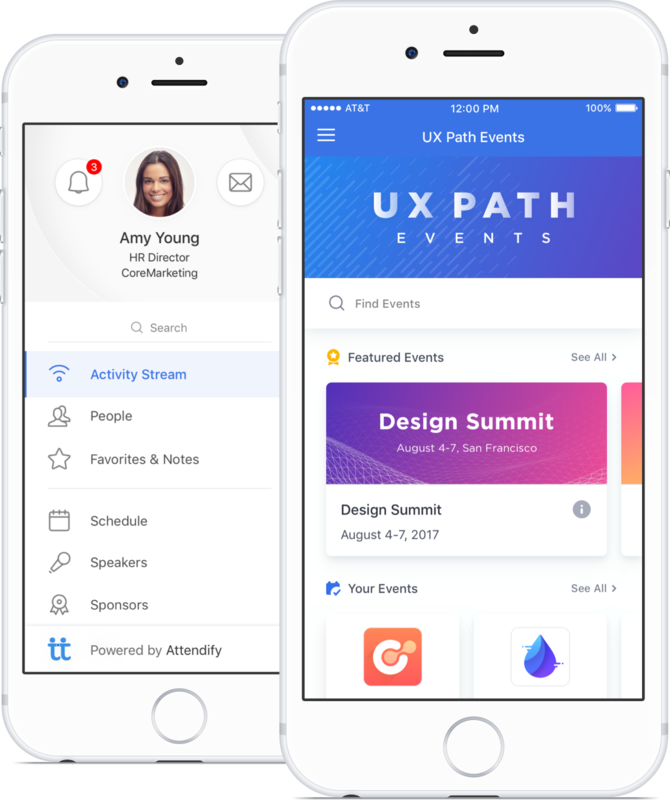 Simply add your events to your container app and attendees can access the content instantly. 5.) Attendees need to only create one profile for use across all events within your Multi-Event container. Click here to read more about our current pricing for all app types.